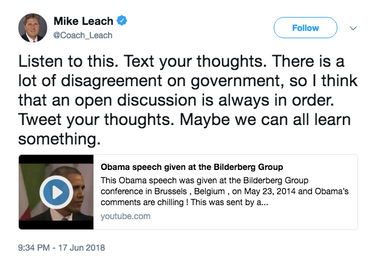 Mike Leach tweeted a Barack Obama video on Sunday saying he wanted to open a discussion about government control. But the video proved to be a fake, and the backlash has been severe. As of Monday morning, Leach’s original tweet has been deleted. However, the story had already taken on a life of its own. As multiple Twitter users and media outlets pointed out — many tweeting directly at Leach to express their displeasure — the video was doctored and that Obama never actually said those things in that light. Here’s what he actually said, based on the transcript of that 2014 speech from the White House archive. The video that Leach tweeted featured chunks of that statement taken out of context and stitched together in a different order than Obama meant them. Leach was initially defensive when Twitter users pointed out the video was fake. Maybe. Prove it. What are your thoughts on what the video said? Many Twitter users accused Leach of using the video and the premise of a dialogue on government control as a front to express disapproval of Obama. Stop saying you were trying to have a discussion about government control when your initial tweet was a video that shows a false narrative of a politician that you don’t like. Man up, admit you rushed to a conclusion and made a mistake, stop trying to gaslight it…idiot. The video is false, manipulated, deceitful propaganda which has become endemic of far right politics and is contributing to dissonant realities, compromised elections, and global division that poses an existential threat to our civilization. You should not be leading young men. Leach is a Donald Trump supporter. He considers the president a friend, and he even stumped for Trump at a rally in Spokane in 2016. 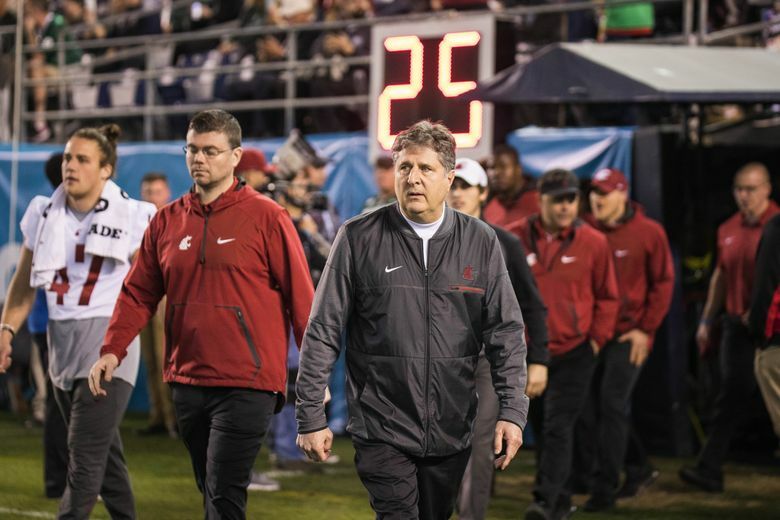 In recent years, Leach has been vocal about the importance of free speech and dialogue, but during his first season at WSU in 2012, he banned his players from using Twitter. Leach’s Twitter storm hasn’t been well received by the national media. USA Today’s Dan Wolken used this as an example of why Leach hasn’t been hired by the major programs, while Bleacher Report, Yahoo Sports and Deadspin also wrote about the incident. Stefanie Loh: sloh@seattletimes.com; on Twitter: @StefanieLoh. Stef Loh is the Seattle Times' features editor. She has also been an assistant sports editor and covered college football at The Seattle Times.